on the latest issue of "the hollywood reporter", justin bieber takes centre stage with his mentors la reid and usher on the side. i thought it was a pretty interesting read, as the feature was on the business side of things, on their strategies and the team behind bieber's phenomenal success. what caught my eye however, was usher's delectable biker jacket from burberry prorsum spring summer 2011, quite possibly my favourite piece from the entire collection. loving the oversized collar, slightly cropped fit and lengthy belt, which balances out perfectly. oh i really do love. and who knew it worked so well with grey formal trousers? i would so wear this to work. 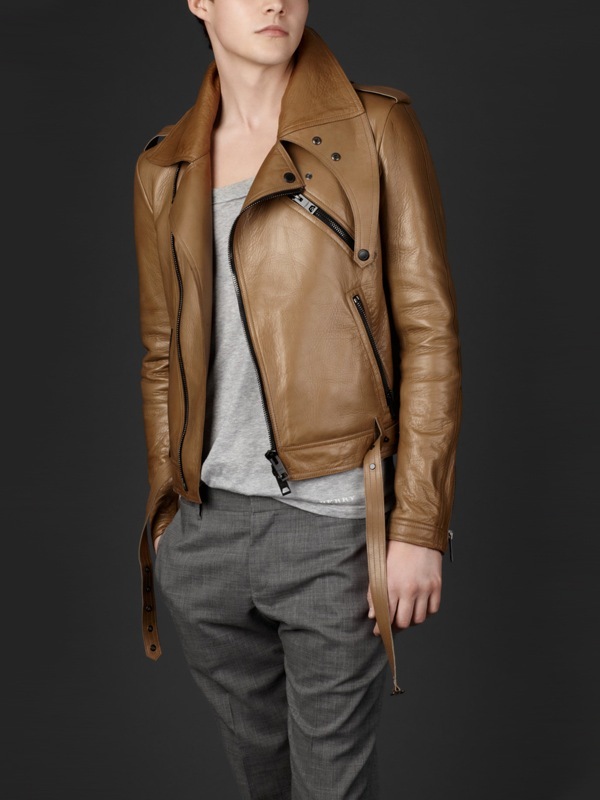 the leather jacket is available online at luisa via roma here. I believe he's also wearing Margiela shoes. Not so crazy about the combination.